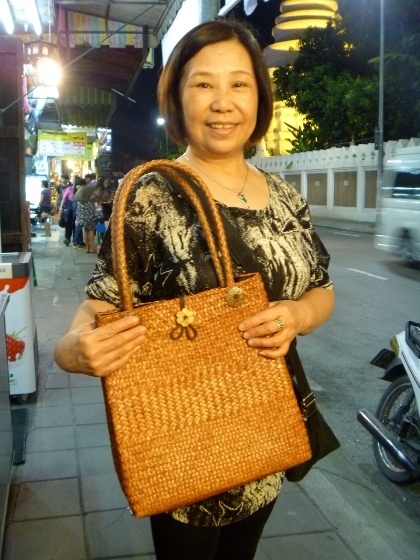 We have been to Chiang Mai twice and this time, we got my mom fall in love with this place! She did her math and started thinking to take her best friend and stay in Chiang Mai for 2 months each year in order to escape from Shanghai’s freezing cold and wet winter, especially because one-time Thailand visa for Chinese is valid for 60 days. This seems to be a pretty good idea! There are some certain places we went to for the second time or even multiple times but still would definitely go back if we are in Chiang Mai again in the future. (I am sure we will be!) Let me just wrap up these places that we think it’s worth checking out either by yourself, with your friends or with your family. 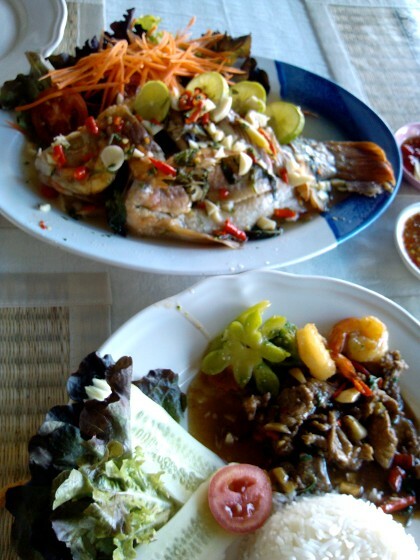 You might have already heard that Thailand is a good place to take care of teeth problems. We have experienced it and it’s totally true. Two words as a comment – CHEAP and PROFESSIONAL! Right before our previous trip to Chiang Mai, I actually made an appointment in Shanghai to clean my teeth after the trip. 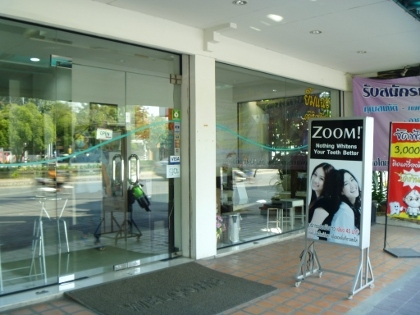 However, we had some extra time, plus we had heard so much good things about dental care in Thailand, so I decided to try it out and clean my teeth in Chiang Mai instead. It turned out that the decision was so right! 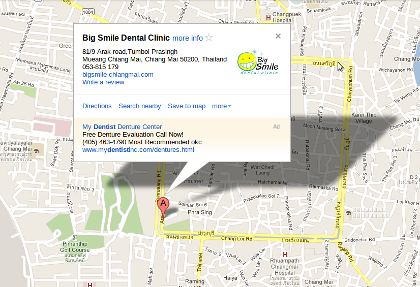 The dental clinic I went to is called Big Smile Dental Clinic, which is located in the old city of Chiang Mai. Here’s the location on Google Maps. 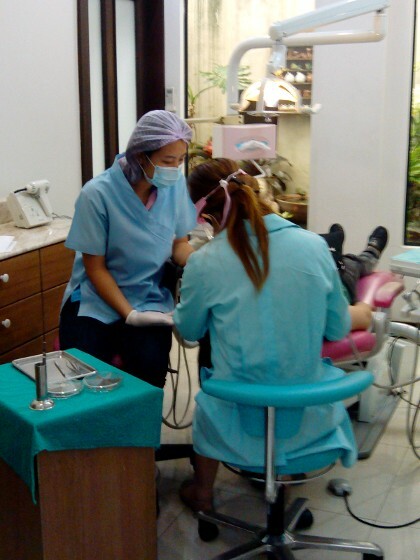 Total price of cleaning, scaling and polishing my teeth was 1000 baht. 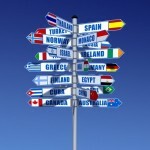 It’s a very affordable price as an international standard of treatment. 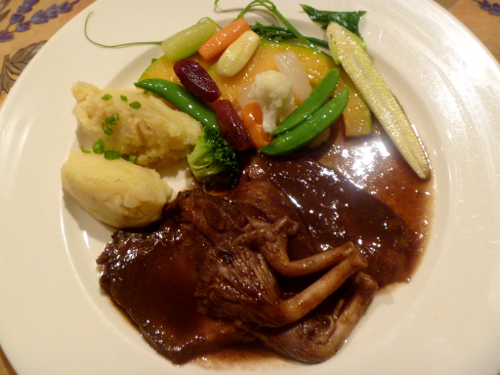 In Shanghai, cleaning ONLY in a local hospital would cost me RMB300.00 which approximately equals to 1500 baht. 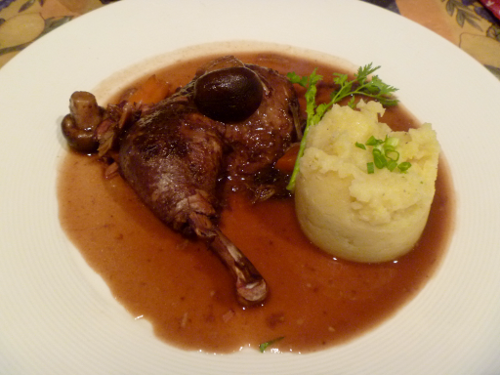 You can do the comparison in your own country but I was completely SOLD! The first thing to do when we came back to Shanghai from our previous Chiang Mai trip was to cancel my dental appointment with the local Shanghai hospital. 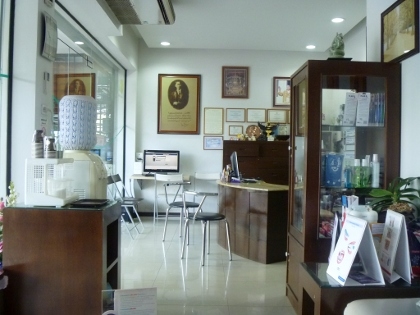 Inside the clinic – coffee and tea are available at the waiting area, plus they have free wifi too. 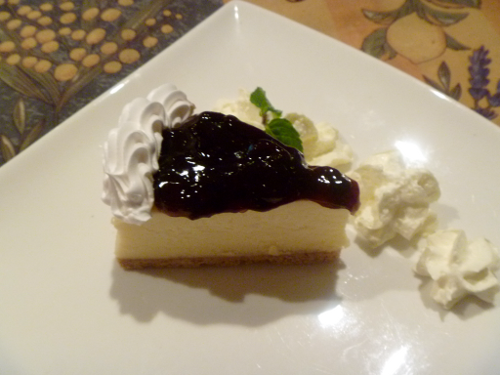 This time, we took my mom to get the same treatment. All the dentists and staff in the clinic are young pretty ladies. I did not see a single male at that place. Anyways, they are gentle and caring. Most importantly, they are professionals! Mom getting her teeth cleaned. 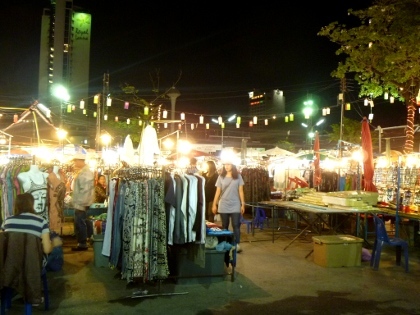 If you are physically in Chiang Mai, you are not going to miss out the Night Bazaar! That’s like a universal consensus! Period! :-P During the day that we were exploring Chiang Mai city last time, the Night Bazaar was one of our main stops. 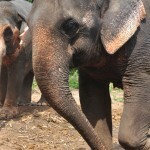 In fact, it had become our main stop every day ever since then for the rest of our Chiang Mai trip! No exception this time either. 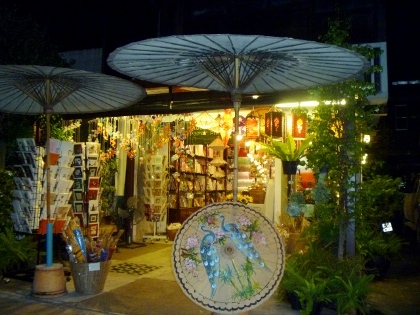 Except for being a perfect place to buy souvenirs, cheap clothes, shoes, and Thailand local handicrafts and much much more stuff than you can think of, Night Bazaar also covers a couple of good restaurants. 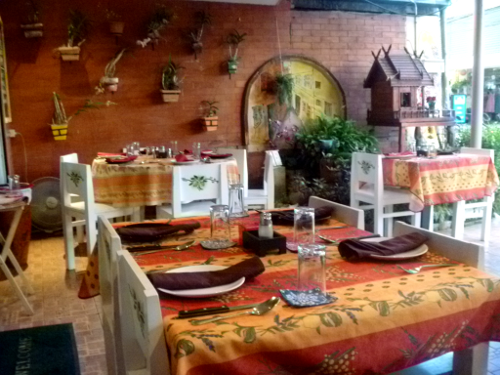 Here’s the picture of the restaurant area during day time. 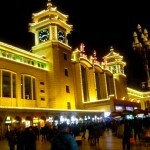 At night, the entire place in front of the restaurants is fulfilled with street vendors and transformed into part of the night market. 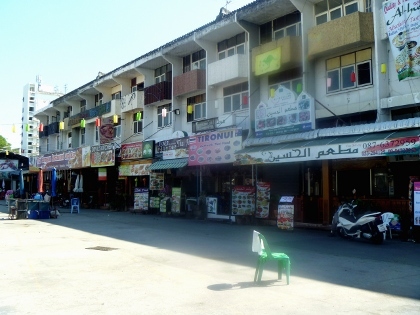 A small number of restaurants inside the Night Bazaar during day time. 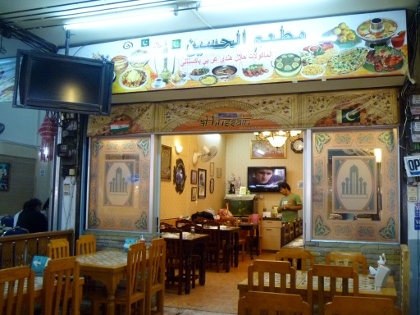 The restaurants we would like to recommend are the middle eastern restaurant called Al Hussain on the right where the scooter is in above picture and the two Thai restaurants next to it. 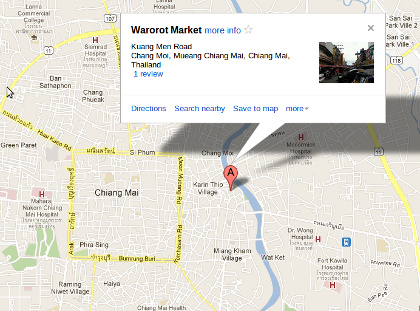 Unlike the Night Bazaar which is a touristy night market but still can not miss, Warorot market opens early in the morning and locals shop there. In this market, you can find a huge variety of dried food, cooking ingredients, dried fruit, fresh fruit, flowers, clothes and so on. 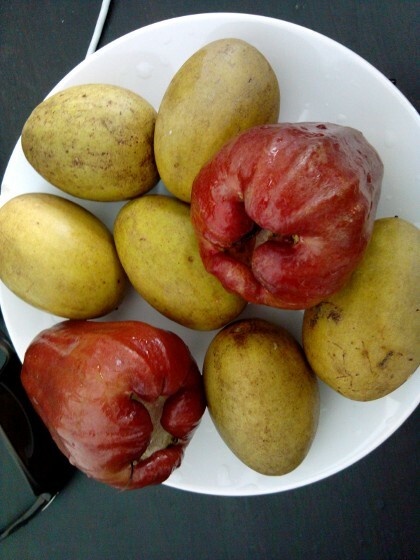 Must buy some fruit at the market. DIRT CHEAP! 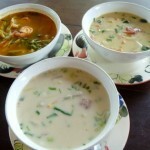 If you are interested in cooking Thai food, this is THE PLACE to get all the ingredients. 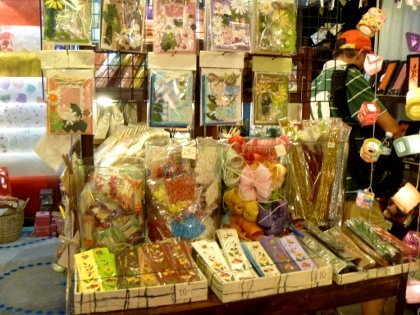 They are nicely packed into small bags for you to easily take back home. 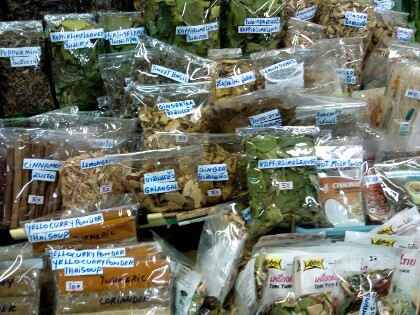 Mom bought lots of ingredients and took them back to Shanghai after learning cooking Thai food in a cooking school. 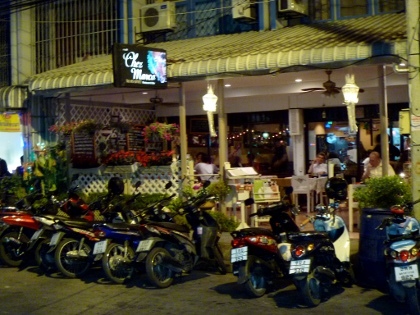 Loi Kroh Road is the center of Chiang Mai’s night life. 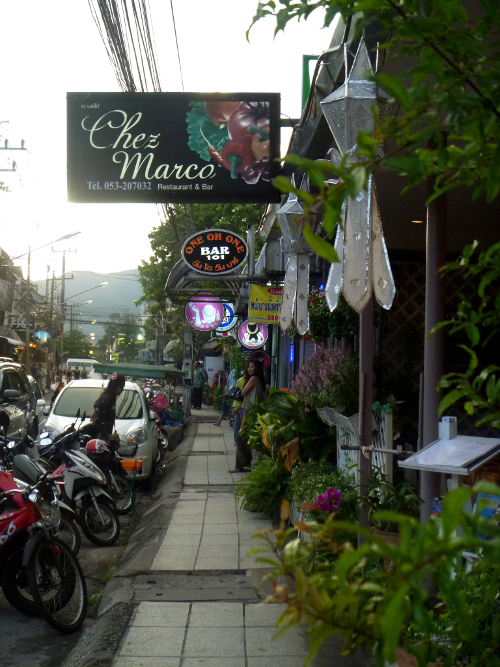 We walked through this road so many times day and night because it leads to the night market and our hotel Mandala House back at our first trip in Chiang Mai was very very close to Loi Kroh road. Not that we are very into night life but we did discover a couple of cool spots on this famous road. 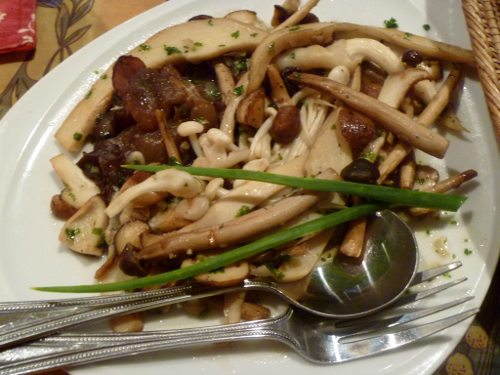 The Mediterranean restaurant Chez Marco is one of them. 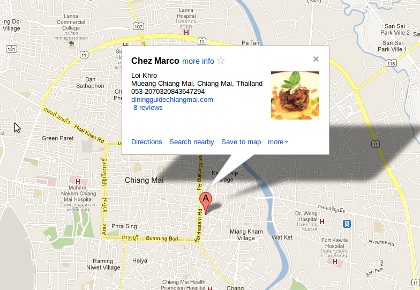 Chez Marco Restaurant and Bar does not serve lunch. 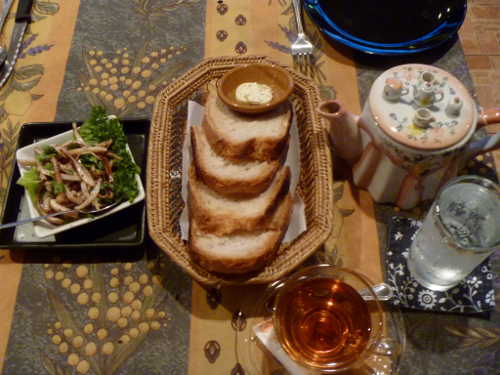 If you want to eat inside of the restaurant, making a reservation is strongly recommended. 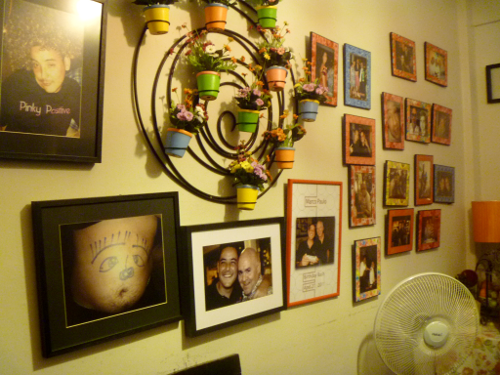 Every time we passed by this restaurant, it’s always packed. 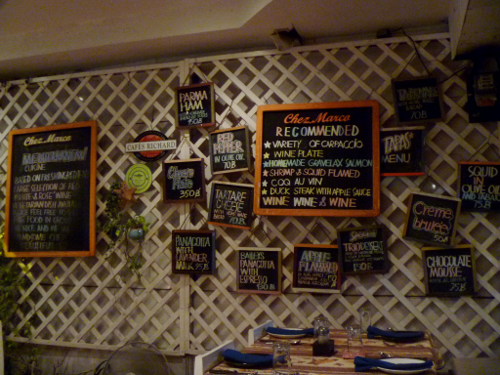 One day we decided to eat there and luckily got a table at the patio. 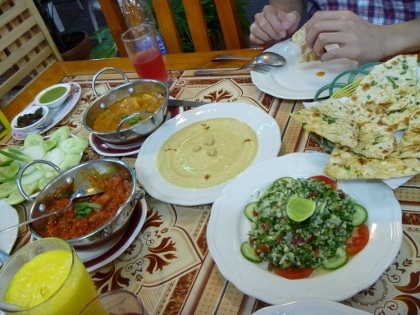 It turned out to be one of the best meal we had in Chiang Mai. 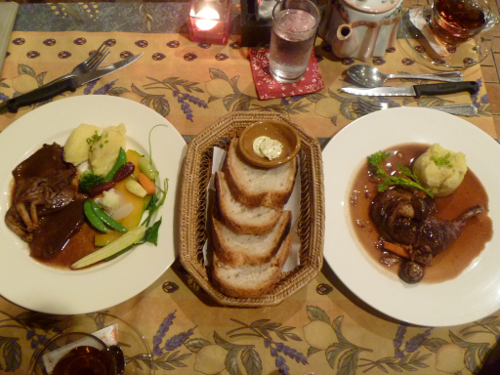 The exact amount of above meal at Chez Marco was 980 baht. 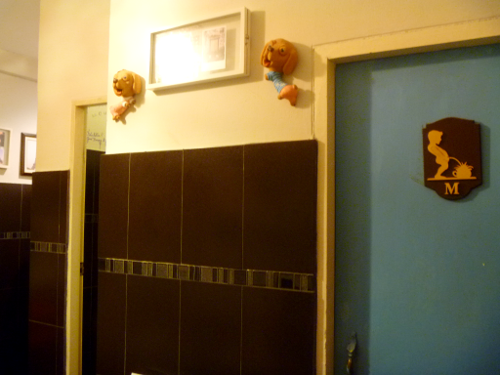 Great value of money for the delicious food, awesome service and….the bathroom! HIGHLY RECOMMENDED! 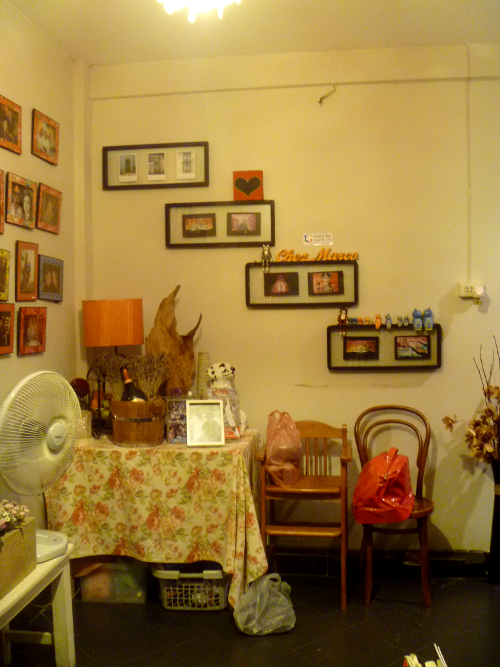 This is another amazing spot we found on Loi Kroh Road. 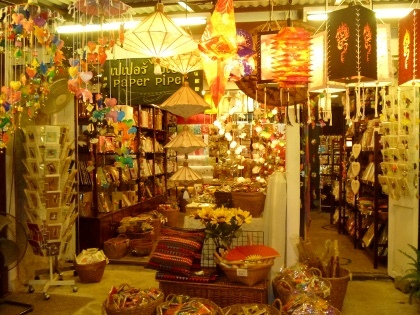 Paper Piper is a unique boutique store which only sells products made from paper including umbrellas, lanterns, flowers, bookmarks, cards, stationery, notebooks, photo frames and lots of decorations. The owner of the store has a great taste of classical music. With the elegant background of music, seeing these cool paper made beautiful stuff was such a joyful experience. 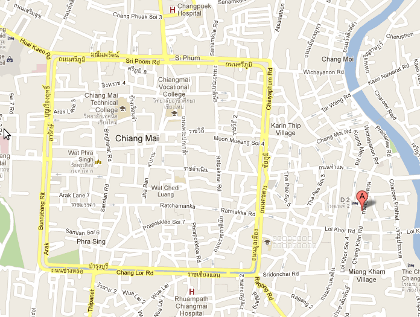 Have been to Chiang Mai? What surprised you? What made you in love?